Turano, Jennifer. A Most Peculiar Circumstance. Bloomington, MN: Bethany House Publishers.2013. Arabella Becket has a habit of finding herself in sticky situations. Only, this time she has found herself in a dangerous situation that requires a little extra help. A family friend, Theodore Wilder, must repeatedly rescue her much to his great annoyance. Arabella and Theodore must work together to resolve this most peculiar circumstance. Arabella Becket is a strong, independent character that the reader will enjoy accompanying through the novel’s excitement. Equally as strong of a character, Theodore Wilder’s annoyance with Arabella Becket will provide ample opportunity for the reader to giggle. 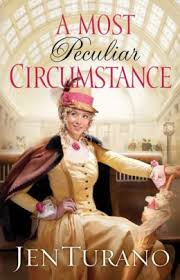 The novel is a delightful read that balances the humor with issues that are still visible today. The author’s degree in textiles becomes apparent throughout the novel with excellent descriptions of clothing providing the novel with an extra layer of depth. The novel is part of the “Ladies of Distinction Series”; although not the first book, readers may read the series out of order and equally enjoy all three books. LaCorte, Thomas G. 6 Miles with Courage. Thomas LaCorte. 2013. Though out of my comfort genre of historical fiction, I found this adventurous, suspenseful novel to actually be quite engaging and heart warming. Through some unexpected endangerment, the author leans strongly on faith development within his characters. 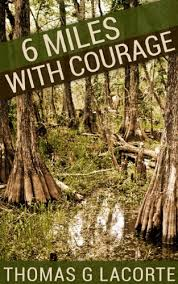 Though I was totally new to the environment of the Florida wilderness, the author took the time to act as a guide; thus, showing his vast and extensive knowledge of the subject. (He worked in the Florida wild as a land surveyor for 40 years.) Overall, I enjoyed this debut novel and await more journeys. Carlson, Melody. A Simple Song. Grand Rapids, MI: Revell. 2013. Katrina Yodder loves to sing. When her father becomes seriously ill, Katrina believes that her gift of music could open doors to provide her family with the necessary funds for her father’s surgery. 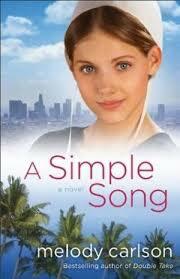 Katrina enters a singing competition – “American Star” – as a result, she risks being disowned by her Amish community. 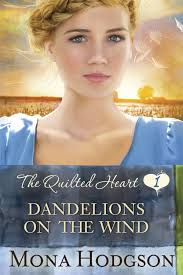 Melody Carlson provides an Amish novel that appeals to a young adult audience. The novel contains main themes that are relevant to the intended audience. Carlson navigates issues such as peer pressure and accountability. 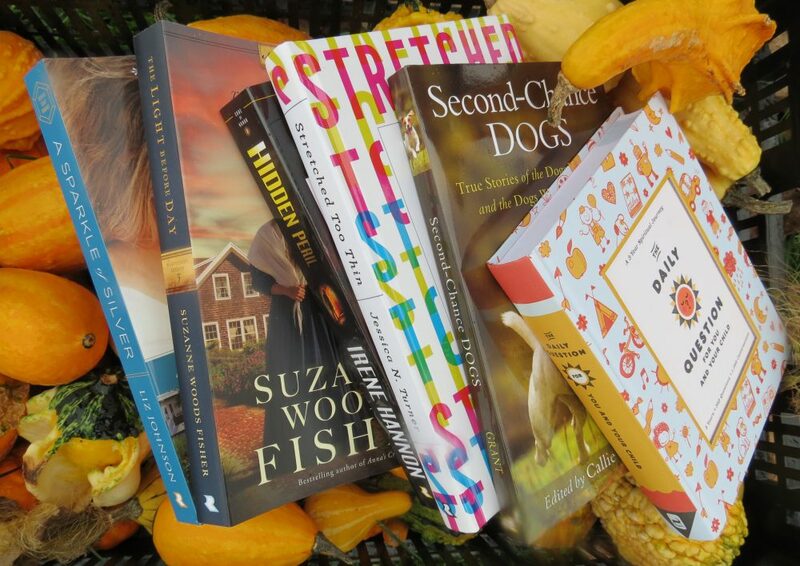 While these topics are presented to the readers, they are weaved seamlessly into the plot. The result is a novel that provides a model of overcoming issues; yet, the novel does not appear didactic in nature. The novel as a whole provides the young adult audience with an entertaining and enlightening read that stands as an edifying alternative to questionable trending young adult fiction of a secular nature. Fisher, Suzanne Woods. The Haven. Grand Rapids, MI: Revell. 2012. Sadie Lapp returns home to her family in Ohio after visiting her sister. On her journey home, she discovers a baby without a family. Bringing the baby home with her, rumors circulate. Sadie must navigate the rumors to share the truth, find a home for the mysterious baby and find her inner strength and confidence in the process. Suzanne Woods Fischer provides her reader with a cozy Amish story. Fischer’s writing style provides an opportunity to indulge in the peaceful setting of the story. The story unfolds as a gentle journey that can best be described as leisurely. The well-paced novel presents the reader with moments to reflect on the issues that arise in the book such as the honesty and forgiveness. The book holds great potential for use in book clubs or Bible studies. It is a story that fosters great conversation. Hodgson, Mona. Dandelions on the Wind. Colorado Springs, CO: Waterbrook Press. 2013. Mara, Wil. Frame 232. Carol Stream, IL: Tyndale House Publishers, Inc. 2013. Sheila Baker inherits a recording of the Kennedy Assassination that has the potential to change her life. The recording has the possibility to incriminate a new suspect – a suspect that does not wish to be found. As a result, Sheila and her new friend, Jason Hammond, are launched into an adventure that places them in heart-pounding peril. HOW MUCH RESEARCH DID YOU DO FOR THIS PROJECT? An unbelievable amount. I spoke with assassination experts, read literally hundreds of books and articles, pored over countless photos…you name it. My goal was to write a fictional story around the established facts rather than alter the facts to serve the story. Thus, I had to know pretty much everything. I ended up loading my brain with more data than I really needed…but I didn’t mind. WHAT ROLE DOES YOUR CHRISTIAN FAITH PLAY IN YOUR WRITING? It is embedded throughout this story, in a fashion both subtle and direct. I was raised Christian and have been a firm believer all my life, so my belief system is threaded into just about everything I do. Anyone who carries even the most fundamental faith will recognize the important elements in this book. The most obvious example belongs to the main character, who recurs throughout the series he is suffering a deep crisis of faith, and the core of that crisis should be familiar to even the most devout follower. We are human, plain and simple, and as such we experience doubts about the Lord in our lifetime. So it won’t be hard for anyone to connect with him. DESCRIBE THE ROLE OF FAITH PLAYS IN YOUR MAIN CHARACTERS, SHEILA BAKER AND JASON HAMMOND.DOES THIS CHANGE AS THE STORY PROGRESSES? With Sheila, you’ve got a very goodhearted person who is experiencing a critical change in her worldview. She is coming out of the ‘money is the most important thing in the world’ phase and beginning to understand that there are much higher priorities. This isn’t to say she’s trumpeting the virtues of poverty (She still understands that it’s important to live within a certain comfortable and respectable standard). But she’s figuring out that money isn’t what a person should worship, it’s something altogether different. And there is a traceable and, I think, very satisfying arc to her story in this regard. The good news, though, is that he has not abandoned the Lord altogether. If he had done that, there wouldn’t be any conflict within him in the first place. 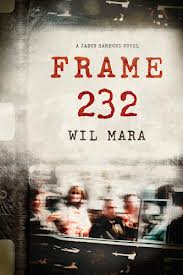 Readers who enjoy Mara’s mystery that delves into the unsolved queries of the past, will look forward to the next novel in the Jason Hammond series that will be available in the summer of 2014. Bryce and Ashley are twin-tweens from Colorado who find adventure while on a short weekend trip. While dealing with bullying and helping thwart burglars, the twins learn to grow in their faith, stand-up for themselves, bond with each other and even save their own lives. This is Book 1 of the Red Rock Mysteries Series. Though this book is written mainly for 8-12 year olds, I found myself turning pages quickly to follow the flurry of activity. The non-stop action, along with the short chapters and the unforeseen surprise ending, all lead to a very appealing read for all ages. 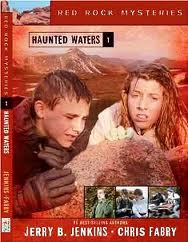 I especially liked the real-life situations the twins faced as well as the guidance from parents to morally approach the issues (bullying, loss, acceptance). Warning…have Book 2, Stolen Secrets, within reach of finishing this book. Spinola, Jennifer Rogers. Southern Fried Sushi. Uhrichsville, OH: Barbour Publishing, Inc. 2011. Shiloh loves her life in Japan and has the journalism job of her dreams. Yet, unexpected news from back home in the U.S. brings Shiloh to Virginia. Once in the southern U.S., Shiloh must navigate the culture shock of returning home.